On our Chester County Main Line Pa Today Real Estate Blog we talk about tips for selling your home and home buying tips in the Philadelphia Main Line and Chester County Pennsylvania area. One of those myths and dragons of real estate is the idea that you only have to sell your home once, to the buyer. 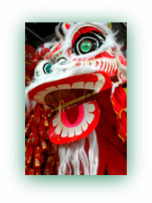 Two Spring Festivals, Chinese New Year and Mardi Gras coincide with the arrival of our Spring real estate market. And like fire breathing Dragons, real estate myths can burn up a sale really fast if you’re not careful. Some real estate myths are harmless, like Chinese New Year Paper Dragons. 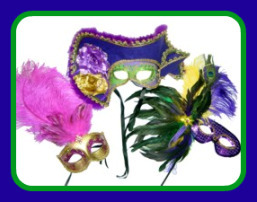 Even so, I want my Sellers to get to settlement and celebrate like it’s Mardi Gras! And for that we may have to slay a few myths and dragons first. I’ll bet that you didn’t know that you would actually be selling your property three times did you? Many Sellers and even some Realtors® make the mistake of focusing only on securing a Home Buyer. But the truth is that it’s not done until that golden moment when we’re all sitting at the Settlement Table passing keys and checks and you’ve successfully sold your home, not once, but three times. Selling a house that’s been a haven, a source of pride, and one of your greatest investments can be a challenge to most of us. We sign the Agreement of Sale and breathe a deep sigh of relief. Done. Sold. Time to move out, move in, move on. Hold on. Not so fast! Agreement of Sale “Contingencies” are the not so mythical creatures that deliver the Home Inspector and the Appraiser to the home seller’s door step. No need to fear them, unless you ignore their importance. A Home Inspection is to inform the buyer of major defects that aren’t self evident. A Home Inspection is not meant to be what builders of new construction call a “punch list” of things to do. A Seller who’s well prepared by his Realtor®, will take care of obvious repair issues. Why? Because every negotiation opens up the Agreement and puts the home sale at risk. A Real Estate Appraisal is paid for by the Buyer. But despite some recent evidence to the contrary, the Appraiser works for the Bank, not you. There are two choices if the property doesn’t appraise. First, find a cash buyer, not so easy to do. Second, lower the sale price to the Appraised Value. Did you know that Realtors perform a CMA, Comparative Market Analysis, but are not licensed to perform Appraisals? There’s actually a third choice of “challenging” the Appraisal, but good luck with that these days. Now that you know that all Real Estate is actually sold three times before you’re home free, you can make more informed choices early on. Good choices will guarantee your success so that you can collect your Mardi Gras beads at Closing and celebrate. Remember you heard it here first from your dragon, myth slaying, Pennsylvania real estate agent Judy Peterson. See you at Mardi Gras Settlement. Call me, 610–889–5509, Judy Peterson, Realtor Prudential Fox Roach Realtors. This entry was posted on Thursday, February 12th, 2009 at 7:35 am	and is filed under Chester County, Home Buyers, Home Sellers. You can follow any responses to this entry through the RSS 2.0 feed. You can leave a response, or trackback from your own site.